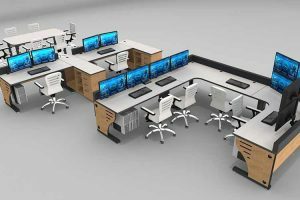 Inracks supports a variety of markets for your control room and console furniture needs. We specialize in creating custom solutions that fit your specific requirements. 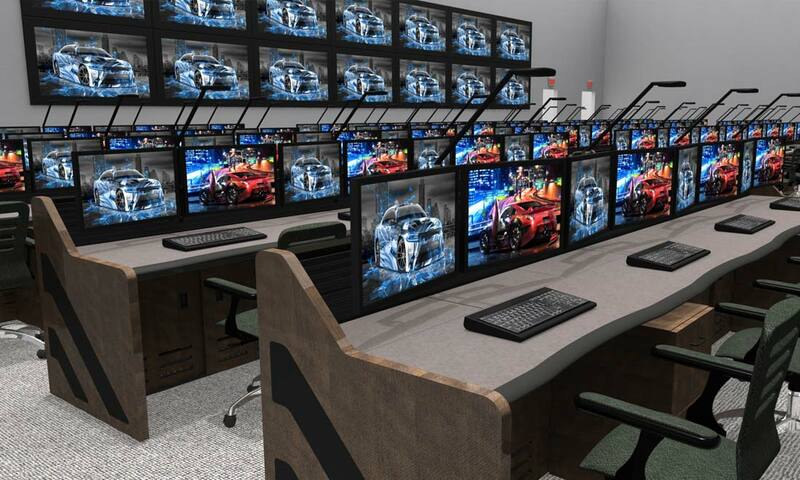 Our Summit line of consoles can be used for a wide array of applications from security consoles to work stations in large control rooms. 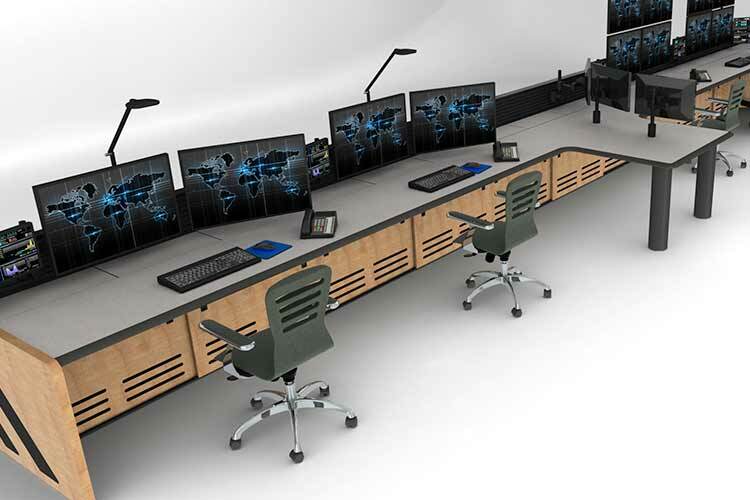 The ergonomic design, durability, and integrated technology of our Summit line makes it the ideal 7×24 furniture grade solution for the ever changing needs of your control room. 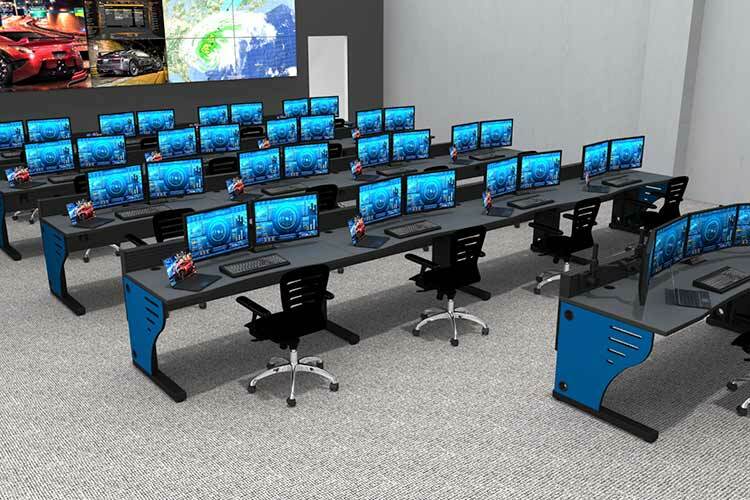 Inracks offers traditional fixed height console furniture and sit-stand configurations depending on your requirements. Lighting, power, storage solutions, monitor arms and workspace accessories are easily added to our flexible slatwall that comes standard on all Summit console lines. We also offer a variety of intensive use task chairs that have been vigorously tested and chosen for the 24×7 environment. Interested in receiving a quote for your control room? 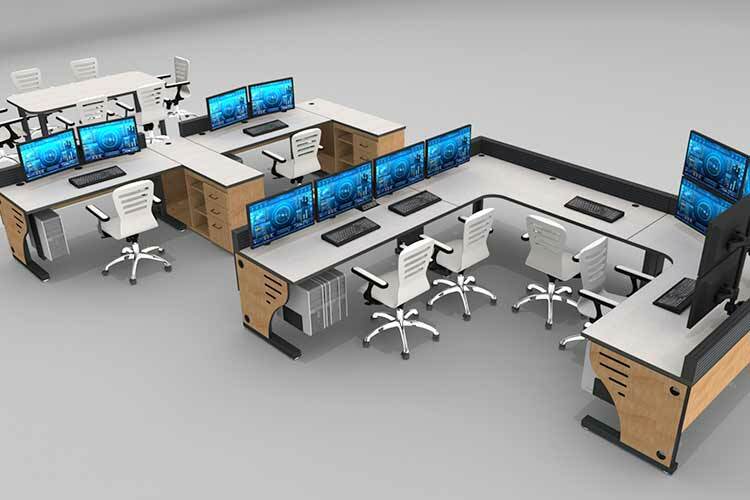 Take your project to the next level with Inracks’ console furniture solutions.